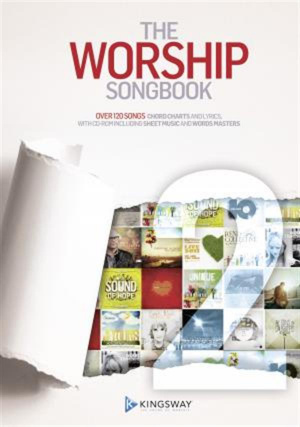 Worship Songbook 2 has arrived, with all the latest church favourites that have taken Britain by storm. In an easy-to-read format, this excellent songbook provides lyrics, chords, and tabs giving your worship group the best opportunity for worship success. Featuring all the biggest songs of the moment such as Paul Baloche's 'The Same Love' and Ben Cantelon's 'New Day'. The Worship Songbook 2 by Kingsway was published by Kingsway in July 2012 and is our 1506th best seller. The ISBN for The Worship Songbook 2 is 9781842914540. Be the first to review The Worship Songbook 2! Got a question? No problem! Just click here to ask us about The Worship Songbook 2. Would it be possible to get the full index for this Songbook please? A:I've just received the list this minute, and it is as follows: Adopted Alabaster Alive All Glory All The Poor And Powerless All Things New All To Him Always Yours Amazing Arms Of Grace At The Foot Of The Cross Authentic Church Be Exalted Be Glorified Be Thou My Passion Blood So Beautiful Build Your Kingdom Here Center Of It All Chains Are Broken Chase Christ Has Set Me Free Christus Victor Come Ye Thankful People Come Defender Desert Soul Devotion Draw Me Close Everything In Colour Father Father Like No Other First Love For Us Forever Freedom Never Felt So Good Give Myself To You Glorious God Be Glorified God Is Love Grace Great I Am Great The Name Guardian He Is Here He Rose Heaven Is My Home Holy Ground I Am Redeemed I Receive Your Love Isaiah 55 (Nothing You Can't Do) Jesus At The Centre Jesus Is On The Throne Jesus Precious Jesus Keep Me Near Look Upon The Lord Lord Strong & Mighty Love Love Came Down (I've Found A Love) Love Divine (Purify) Love That Has Won Mightier Mountaintop My Deliverer My Hope Name Above All Names New Day No One Better O The Blood O What A Mystery Oh Our Lord Once In Darkenss Only You Can Save Our God Is Holy Power in the name Praise Like Fireworks River Flow Ruler Over All Creation Running Into Love Saviour Like A Shepherd Lead Us (Blessed Jesus) Saviour Of The World Saviour's Song Second Chance Shining Star Sound Of Hope Sound Of Praise Spill My Heart Strong God Take Me To The River Take The Plank Out Thank The Lord The Angels Knew The Cost The Same Love The Singing Song There's Beauty In This Place Through The Cross Together We Shout True Intimacy Trust In The Lord Unique Wait For You We Are On Our Way We Are Saved We Are Yours We See Your Cross We Still Believe Wide Open Spaces(Far Above And Beyond) Wonderful Worlds Collide Worship You Worth It All You are my vision You Are What I Need You Cover Me You Found Me You Make Everything New You Never Give Up Your Joy Your Love Your Love Never Changes Your Love Reaches Thank you for using the Q&A Forum.